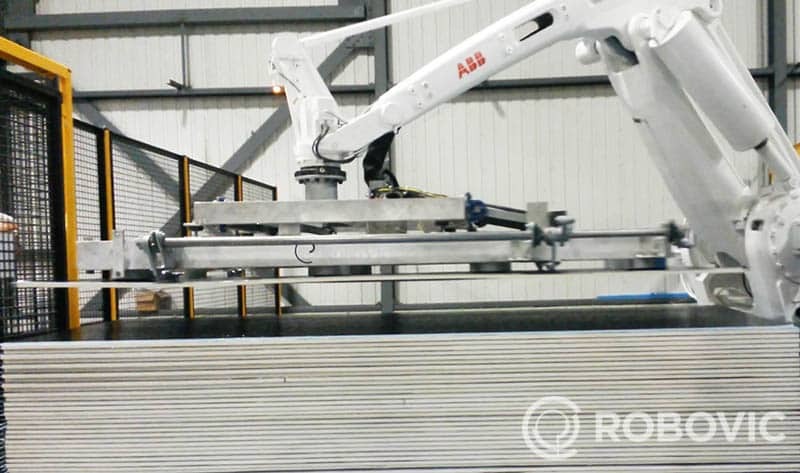 Sheet Stacking Palletizer | Specific Solution | ROBOVIC Inc. The system is an innovative solution that piles with precision and speed. Many types of grippers are offered to adapt to various sheets: aluminum,steel, wood, concrete etc. The sheet stacking palletizer is equipped with a gripper able to manipulate generally one sheet at a time with either mechanical or vaccum gripper. The sheets are previously detected and perfectly localized to obtain precise stacking. The palletizer can handle sheets up to 40 feet long. 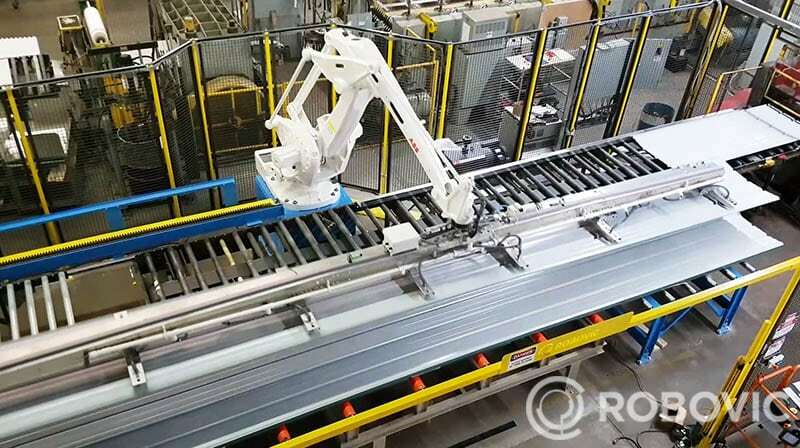 The production speed of the sheet stacking palletizer can pile up to 16 sheets per minute and the production rate can be increased by integrating a second robot to the cel. 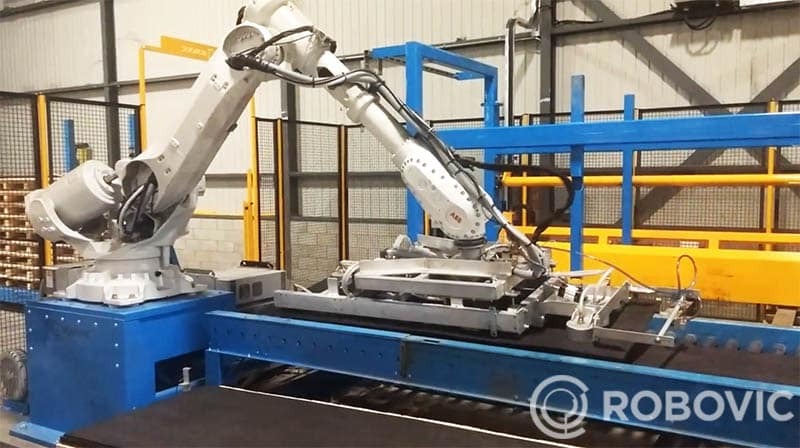 For a completely automated solution, it’s possible to add options such as wrapper, strapper and tagger in order to obtain stacks ready for shipping or storring according to the clients needs. repetitive positioning avoiding any random stacking. Wide variety of options and configurations possible. Second robot for higher speed. Conveyor for inserting and accumulating pallets. Gripper can be tailored clients needs.